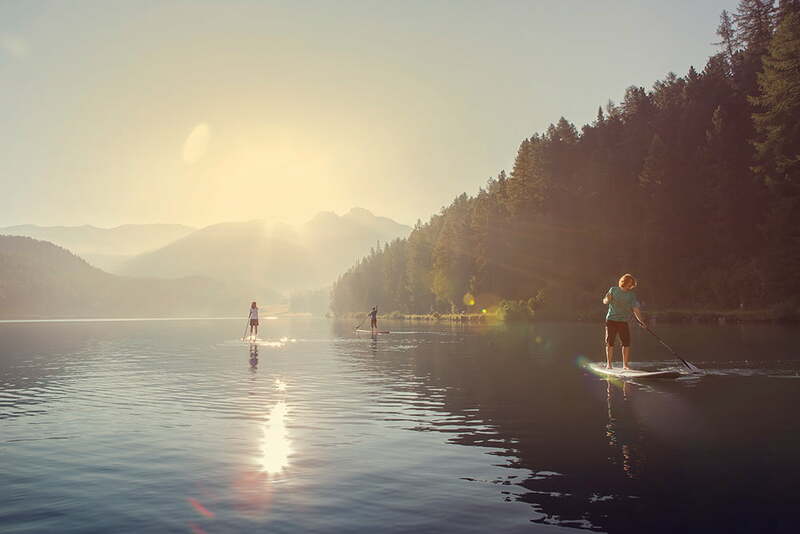 No matter whether you’re into kite surfing or sun bathing, Engadin’s Alpine lakes are a must in summer. What is it that makes Lake Silvaplana so irresistible to wind and kite surfers? Maybe it’s the deep blue of the Alpine lake, or the sublime mountain panorama. Or perhaps it’s the famous Maloja wind? Whatever it is, thrillseekers from around the world keep coming back to Europe’s highest surfing destination to enjoy reliably good winds ranging between 3 and 6 on the Beaufort scale. 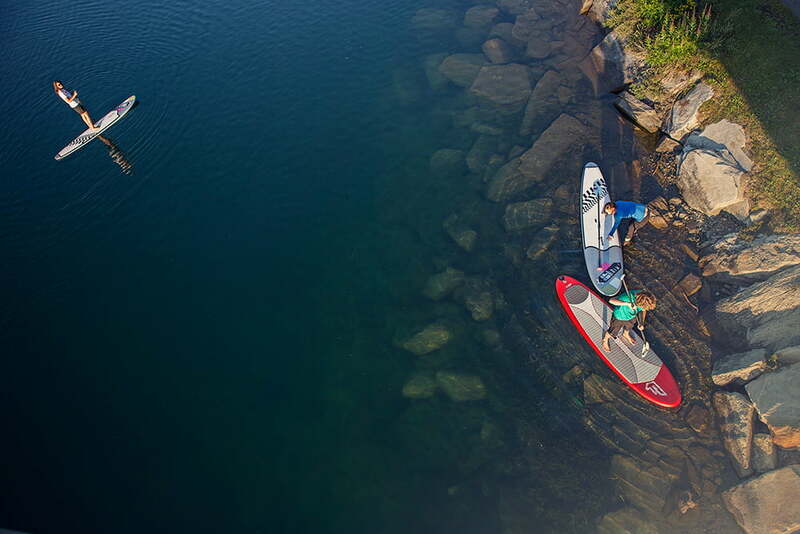 Those who prefer to take things easy can grab a stand-up paddleboard and explore the crystal-clear waters at their own pace. But it’s not just surfers who love Lake Silvaplana: the lake’s ideal conditions also attract sailors of all stripes. 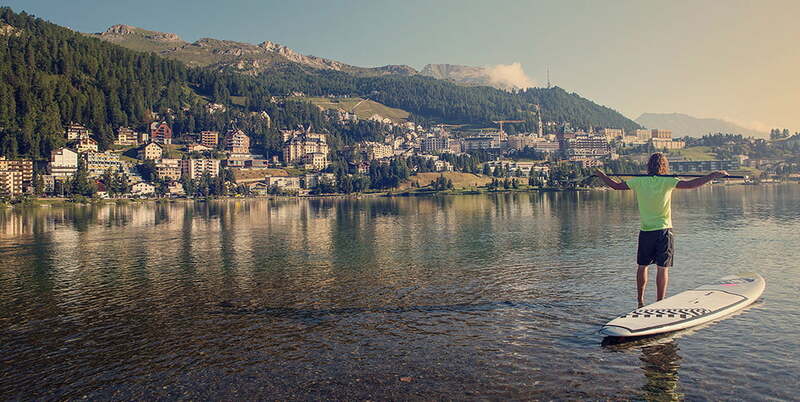 Every year, Lake St. Moritz and Lake Silvaplana host the World, European and Swiss Sailing Championships. 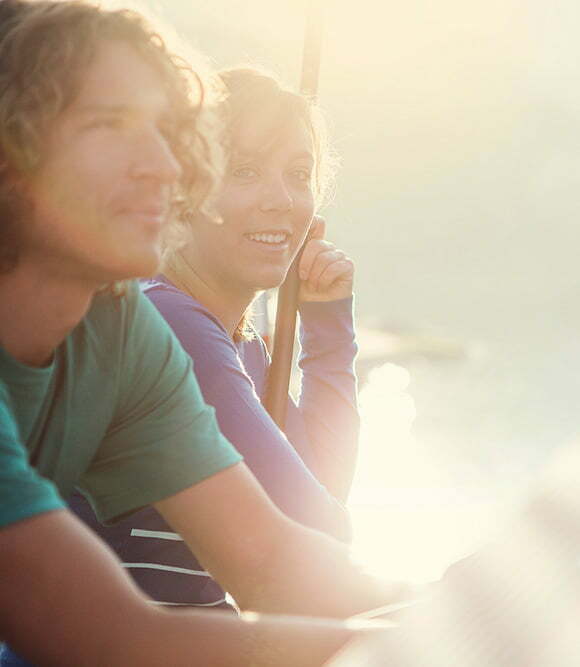 If you’re new to the sport, Engadin is also a great place learn how to sail and there are a variety of courses on offer. 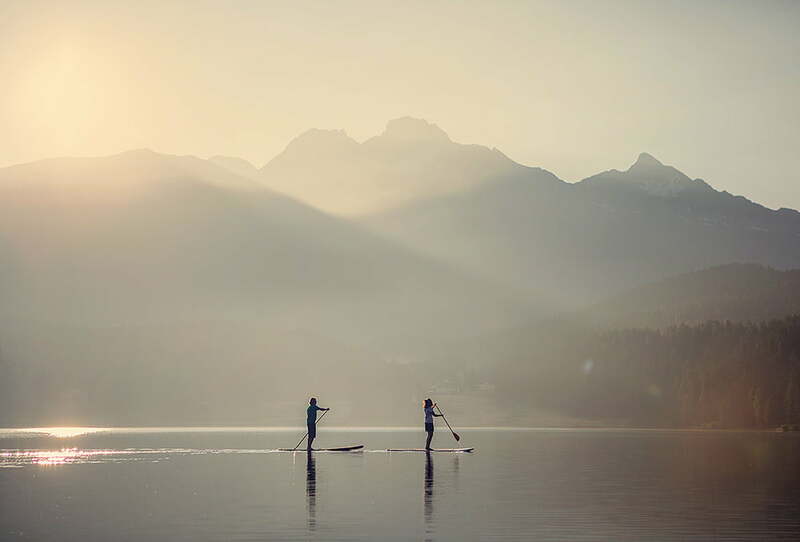 Admittedly, braving the chilly waters of Engadin’s large lakes is not for everyone. 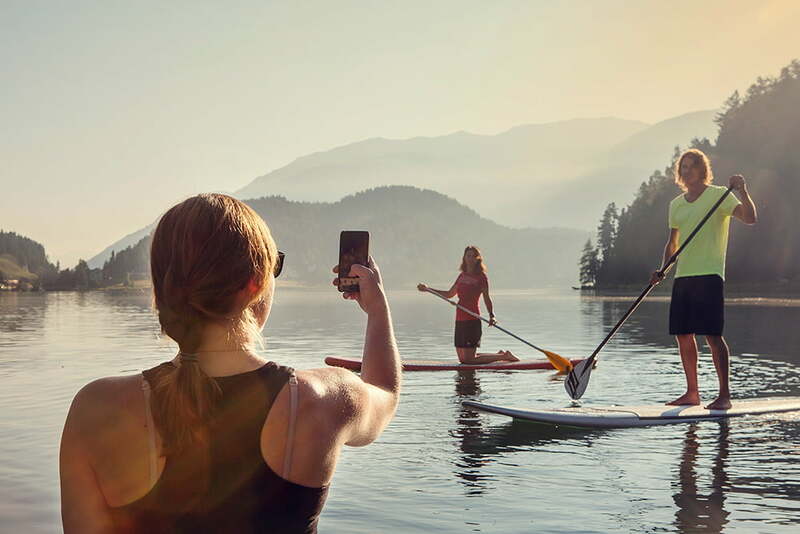 Luckily, there are dozens of other lakes that are smaller, shallower and warmer than Silsersee, Silvaplanasee, Champfèrsee and Lake St. Moritz. Lakes such as Lej da Staz reach pleasant temperatures in summer and are ideal for taking a dip. 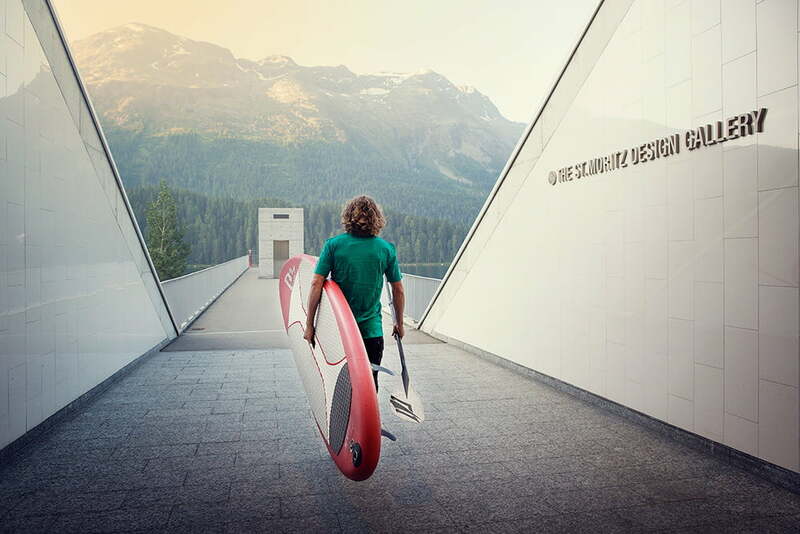 One of the best lakes for swimming is Lej Marsch, which is located in a small forest inside a protected moorland between St. Moritz and Champfèr. It’s well equipped with BBQ areas, picnic tables, toilets and sunbathing lawns. There’s even a sandy beach here, 1,812 metres above sea level! If you’re looking for somewhere a little more secluded, you won’t need to go far. Just 500 metres away you’ll find Lej Nair, whose glassy surface beautifully reflects the majestic summit of Piz Corvatsch. Lej Nair is a good half-hour walk from Surlej and around 45 minutes from Silvaplana. It’s absolutely worth the effort. With a bit of luck, you may even have this magical black lake all to yourself.